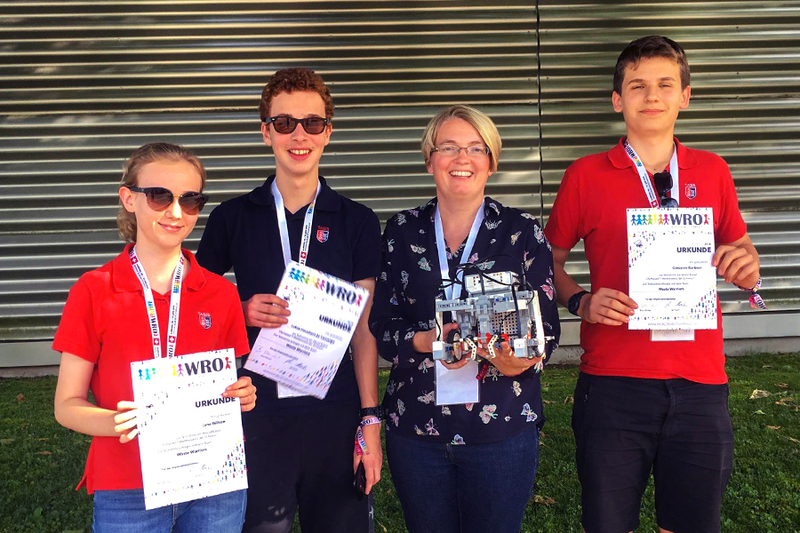 Summer vacation was delayed for three TASIS Middle School students as they competed in the World Robot Olympiad (WRO) in Aarburg, Switzerland, on June 10. Giovanni Barbieri ’23, Lukas Heuchert de Camargo ’22, and Jane Wilson ’22 accompanied TASIS Middle School Science and Coding teacher Amy Bloodworth to the competition. 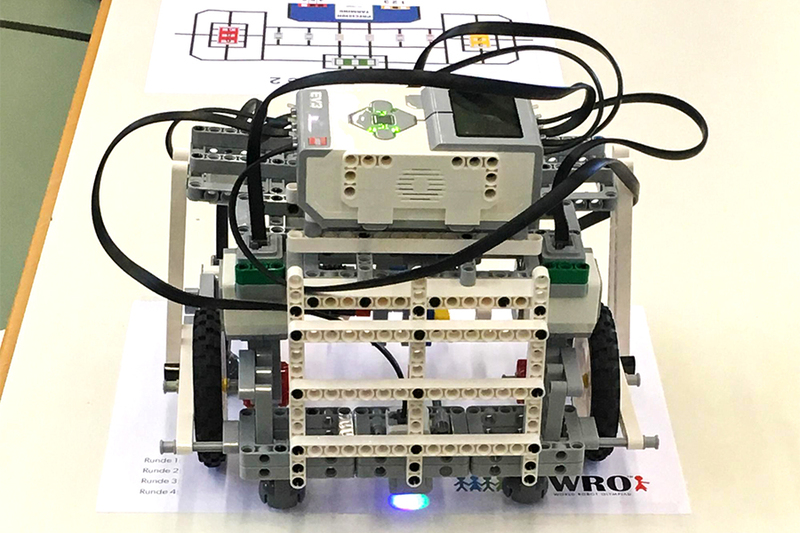 A non-profit organization that promotes robotics in STEM education worldwide, the World Robot Olympiad Association aims to bring together young people all over the world to develop their creativity and problem-solving skills by organizing challenging and educational robotics competitions. 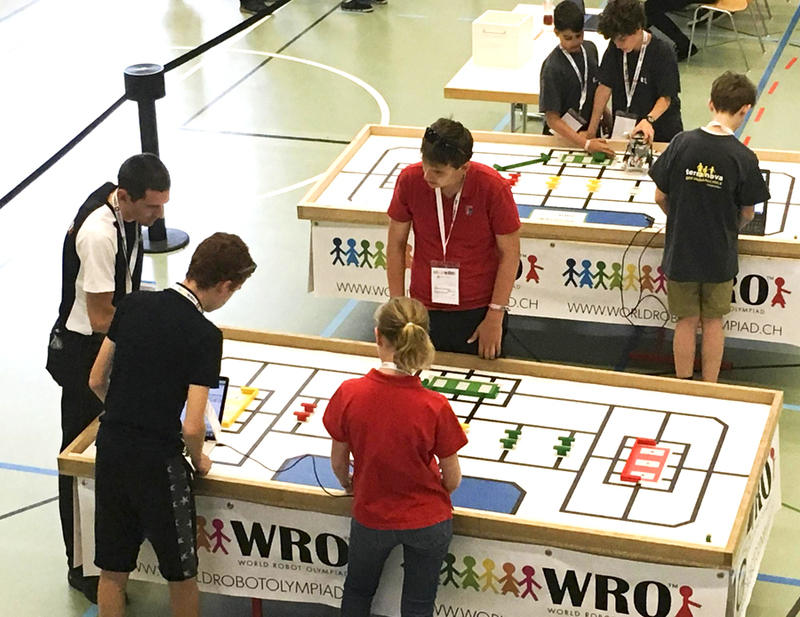 The WRO competition involves more than 22,000 teams from more than 60 different countries. This year's WRO theme was Food Matters, with students examining the way we grow, share, and consume food. TASIS students competed in the junior category (age 13–15) of the Swiss national tournament and focused on precision farming. With a growing population in the world, more and more food needs to be produced every year, and one way to increase food production is to use technologies such as robots, drones, and satellites to improve the usage of arable land. Satellites and drones can provide accurate data on soil quality, and this data can be used by robots (self-driving tractors) to plant different seedlings on the land depending on the soil quality. In this way, the seedlings are adapted to the growing environment. The mission for the TASIS students was to create and program a robot that could gather data on the soil quality in the fields of different farms and use this data to plant different seedlings. Their team was called Waste Warriors, and they finished 23rd out of the 44 teams that entered the competition. "The competition was really difficult and very strict,” said Ms. Bloodworth, who was the 2016 recipient of the Khan-Page Master Teacher Award. “Our students were at the lower end of their age group, so I thought that they did really well considering that this was their first attempt. Many of the teams at the top of the leaderboard have come through the elementary and junior ranks and have been competing for years." The competition lasted eight hours, and students had 2.5 hours to rebuild their robots from scratch. There were then four competition rounds, and between each round students could make modifications to their robots and their code. "To make matters more interesting, they were also doing it all in German—a great example of stretching and challenging themselves!" said Ms. Bloodworth. TASIS hopes to compete in the WRO again next year. In addition, TASIS students in grades 5–8 will compete in the First Lego League next year through the after-school Robotics Club. To learn more about how teachers like Ms. Bloodworth have helped TASIS build a cutting-edge science program, see this article.